The figures released by Oregon state authority indicates that only a little above 68% of beverage containers were redeemed in 2014. 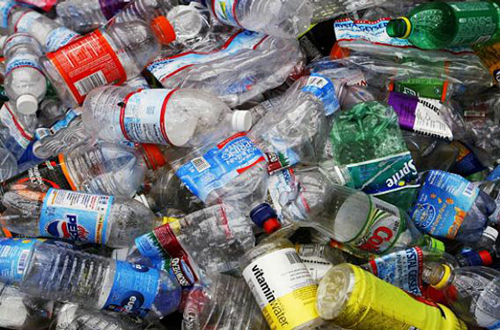 The state may hike the bottle deposit from nickel to dime by 2017. PORTLAND (Scrap Monster): The latest state data indicates that the return rate of beverage bottles towards redemption of 5-cent deposit has dropped considerably in Oregon. The drop in redemption rate may force the state to double the bottle deposit rate to 10 cents per bottle by 2017. According to 2011 law, the deposit rate could be hiked effective Jan 1, 2017, if the redemption rate stays below 80% for two consecutive years. The rates had failed to meet the target in 2012 and 2013. Also, the program will be expanded by 2018 so as to include all beverage containers except wine, liquor and milk. According to figures released by the Oregon Liquor Control Commission, only 68.26% of beverage containers were redeemed during 2014, dropping by nearly 3% points over the previous year. The redemption rate of plastic beverage containers was the lowest at 55.44%. The return rate of metal and glass containers stood at 74.26% and 71.92%. Supporters of the bottle bill claim that redemption of deposit is still considered as a preferable option as it prevents contamination and prevents sorting costs associated with curbside recycling. On the other hand, it is to be noted that the above statistics do not include the numerous cans and bottles recycled through curbside collection. This essentially means that Oregonians are forced to pay double deposit on cans despite recycling almost all their cans and bottles. ORS 459A.718 (6)(a) states that by August 1 of each calendar year, the Oregon Liquor Control Commission shall calculate the previous calendar year’s percentage of beverage containers returned for the refund value for each distributor cooperative and for each distributor/importer that does not participate in a distributor cooperative. The OLCC shall carry out the calculation separately for glass, metal, and plastic containers and shall post the percentages on the Commission’s website.